Hello my friends in the Draper area! Recently Rain International had a phenomenal event called the World Seed Summit. My favorite part about these summits is the new products introduced. 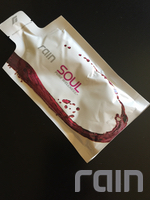 This year’s event didn’t disappoint and today I’m happy to announce Revri, the seed based skincare product from Rain! Rain International is a company that is passionate about setting new standards, review innovative ideas, and deliver breakthroughs. With Revri, Rain has done it again. Our health depends on more than what we put into our bodies, it is also impacted by what we put on our skin. Revri. All-natural seed based Revri is setting the new standard for skincare products. The innovation behind Revri is simply amazing: a patent-pending molecular delivery system that includes two proprietary plant stem cells. 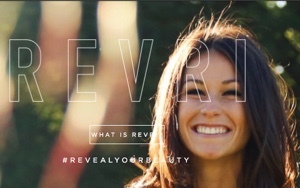 This allows Revri to deliver nutrition to each layer of your skin unlike any other product on the market. Years of research and hours spent in the lab have paid off. Resist the signs of aging. Visibly diminish lines and wrinkles. Smooth, hydrate, and revitalize the skin. The information on this site is designed for informational purposes. It is not to be a a replacement for professional medical counsel or care. You should not use this information to diagnose or treat any health matters or illnesses without consulting with your physician.